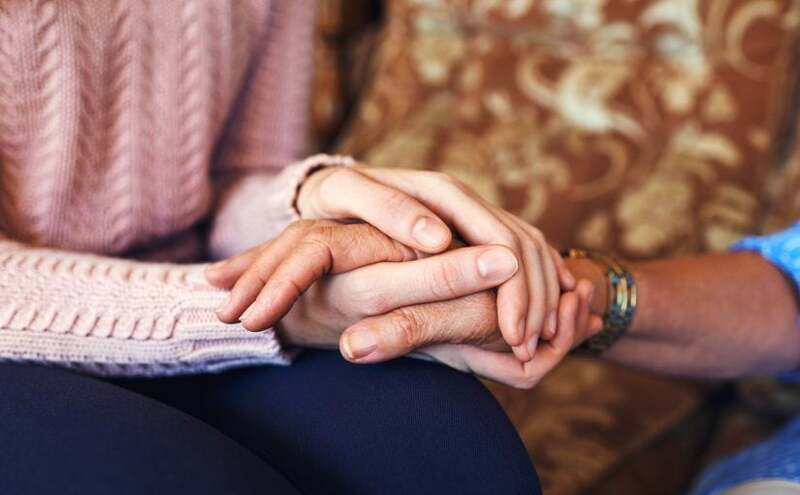 During times of loss, it’s often really hard to figure out what’s appropriate as a gift – especially when someone’s just lost a spouse. You don’t want to evoke painful memories with something overly sentimental, but at the same time, you do want to send a meaningful sympathy gift, or sympathy gift basket. While it is tricky to decide what’s right, there certainly are gifts that are perfect for the occasion. Here are some tasteful ideas to get you started. People often send flowers to express their sympathies. But while flowers are indeed beautiful, they also die. The whole point of a sympathy gift is to make them feel better – not to remind them of death. This is why an actual plant is a better option than flowers. The most popular plant for such occasions is the Peace Lily, but others like yellow rose plants, gardenias, and Calla Lilies are also great choices too. This isn’t just us being biased. You know how when you’re sick you really don’t want to exert the effort to cook anything more complicated than canned soup? Multiply that by a million and you’ll be close to understanding what the widow or widower is dealing with. This is why sympathy gift baskets are great. They offer good food without the hassle of going to the grocery store. The best baskets are those that include quick meals, snacks they can eat right away, or items that last a fair amount of time – like muffins or nuts. If you live close enough to the widowed, you can skip a basket and make a meal instead. Plus, if they’re used to eating with said significant other, it might be really nice to have some company during dinner. Show up with all the ingredients (you don’t want to make them feel inadequate if they don’t have something the recipe calls for) and get to work. If you can’t stay for long, just make a meal at home and drop it off. Also, don’t forget that they might like to get out for a bit. If they’re feeling up to it, invite them over to yours instead. Photos are always great – no matter how many the widow(er) already has. If you have a special picture of the deceased or a photo of the couple together, it makes a great gift. Fit it to size, and have it matted and/or framed. What’s round and never ends just like their love? Most jewelry. Bracelets are particularly nice because they can be engraved inside and out, offering you more space for a more personalized message. Other ideas are infinity necklaces or rings. Also, if they’re religious, there are many, many pendants and necklaces that are marked with crosses, stars, angels, etc. Like plants, trees don’t die in 3 days – which is good for someone coping with loss. But unlike plants, trees are majestic and are generally able to survive without too much care. If the widow or widower lives in an urban area, see if it would be possible to plant the tree in a local park. You’ll have to get special permission first, but it’d be nice for them to go to a place where they can remember their loved one. Plus, you can add in a bench with a personal message or a plaque in commemoration. If they reside somewhere rural, a tree still makes a great gift in their backyard. Think about getting a few people in on this and perhaps holding a tree planting ceremony. After someone loses the person they love, they’re bound to have a few thoughts. But some things are private, making a pen and journal the perfect gift to help them vent. I always thought giving money to a charity sounded sort of corny, but in this circumstance, it could actually be the perfect present. The last thing a grieving person wants is for someone else to go through the same thing. So, if their husband passed because of heart disease, a great present would be a donation to the American Heart Association in honor of him. Or if their wife was a victim of breast cancer, remember her by donating to a cause such as the Susan G. Komen foundation. While it may not sound very “gift-y,” your time is a great present. Try donating a few hours to clean up around their house, watching a movie with them, listening to them vent over a cup of coffee, or going for a stroll together around the neighborhood. Sure, it seems pretty trivial, but to them, it’ll make all the difference.